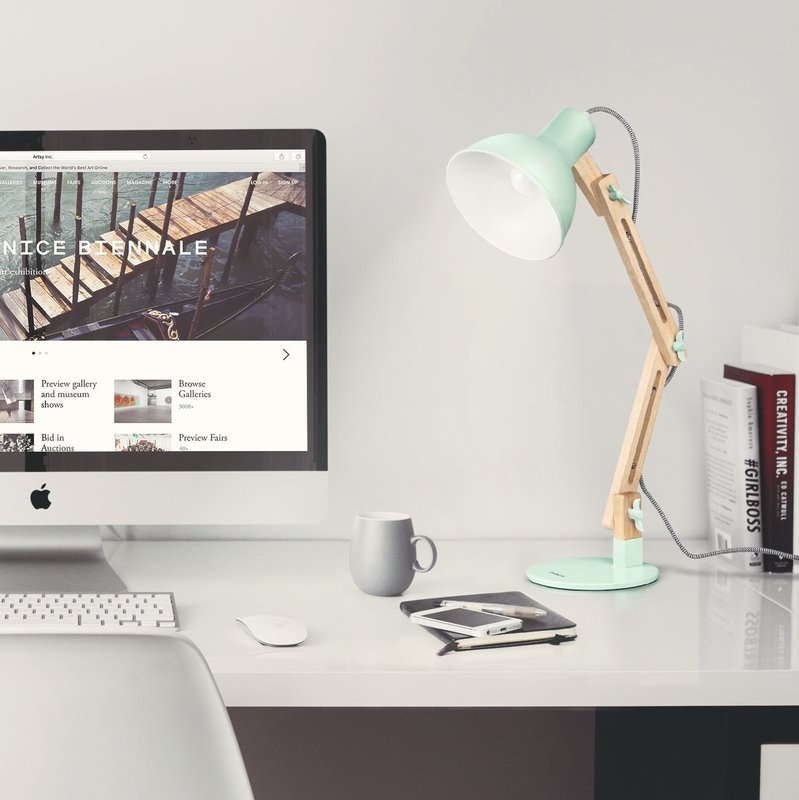 Get your space looking like a million bucks for, well, a whole lot less than that. 1. A fluffy AF faux-fur throw blanket that over 1,500 Amazon reviewers love having in their homes. In addition to being super cozy, it's also machine washable and hypoallergenic! Get it from Amazon for $27.99+ (available in three sizes and twenty colors). 2. A rock 'n' roll customizable doormat so you can set the record for best entryway of all time. You can customize both the name at the top (up to 16 characters) and the phrase on the bottom (up to 25 characters). 3. A velvet leopard pillow that's more than worthy of a spot on your sofa. 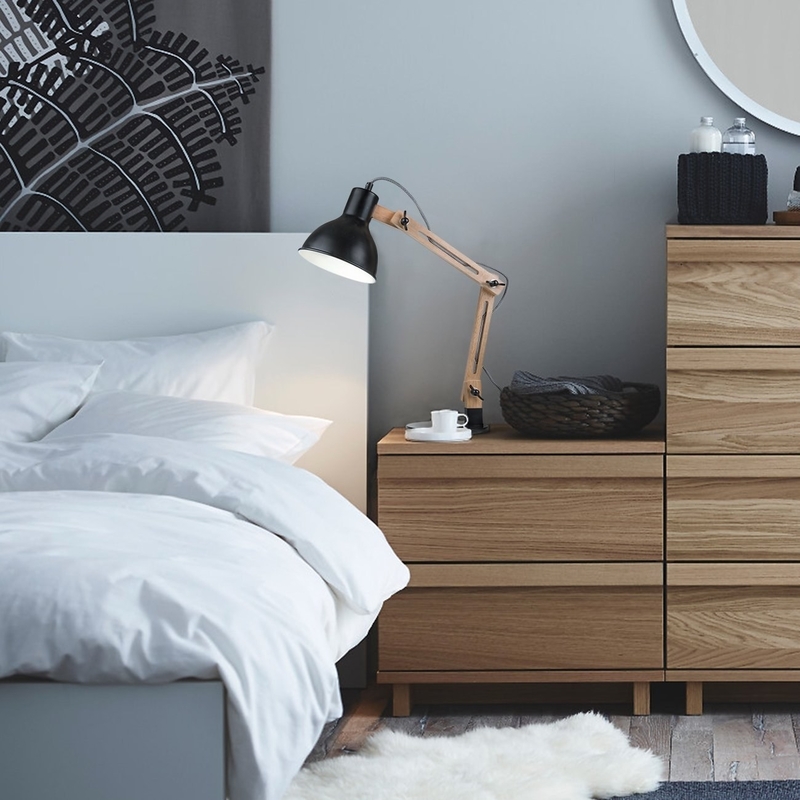 Check out more of Target's luxe new home line, Opalhouse. 4. 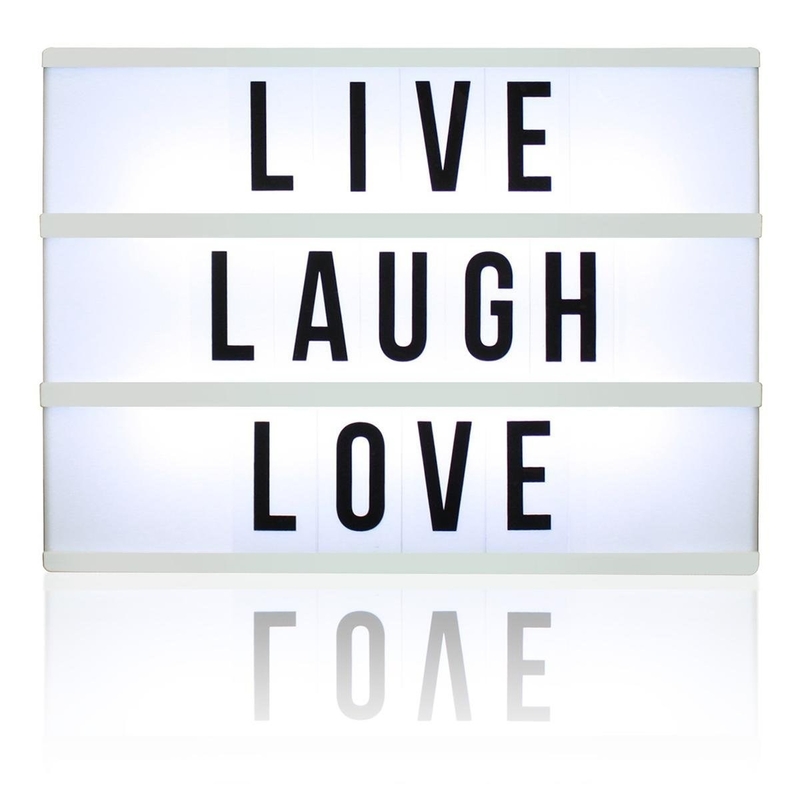 A fun light box you can customize with different messages to suit every mood. In addition to the light, you get 109 letters, numbers, and symbols so you can express yourself to your fullest. Get it from Amazon for $14.99. Get the required AA batteries from Amazon for $5.69+. 5. A beautiful tapestry depicting the thought you have every morning as you wake up in your wonderful bed. 6. 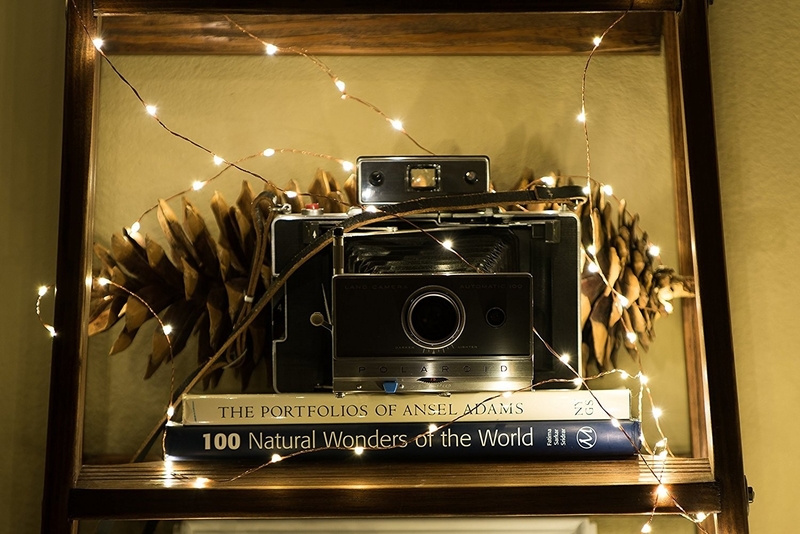 A set of dimmable string lights you can use to brighten up your abode in myriad ways. Get a 40-foot strand from Amazon for $19.99. 7. A mesmerizing magnetic hourglass that'll make everyone who sees it totally flip. It's filled with iron particles and has a magnet on each base. It only takes about 30 seconds for the grains to fall, not an hour, but that's probably for the best since you'll want to stare at it the whole time. 8. A magical set of wooden Hogwarts bookends to support the series that's always there to welcome you home (and, okay, all your muggle books, too). Get them from BookendsStore on Etsy for $39 (available in seven colors). 9. 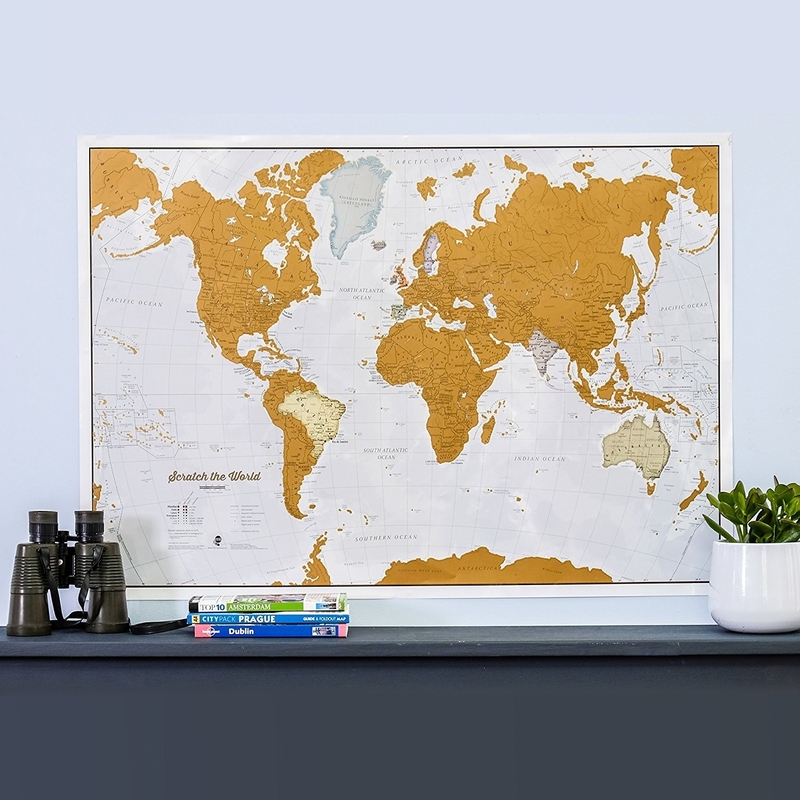 A gorgeous world map that lets you scratch off the places you've been. 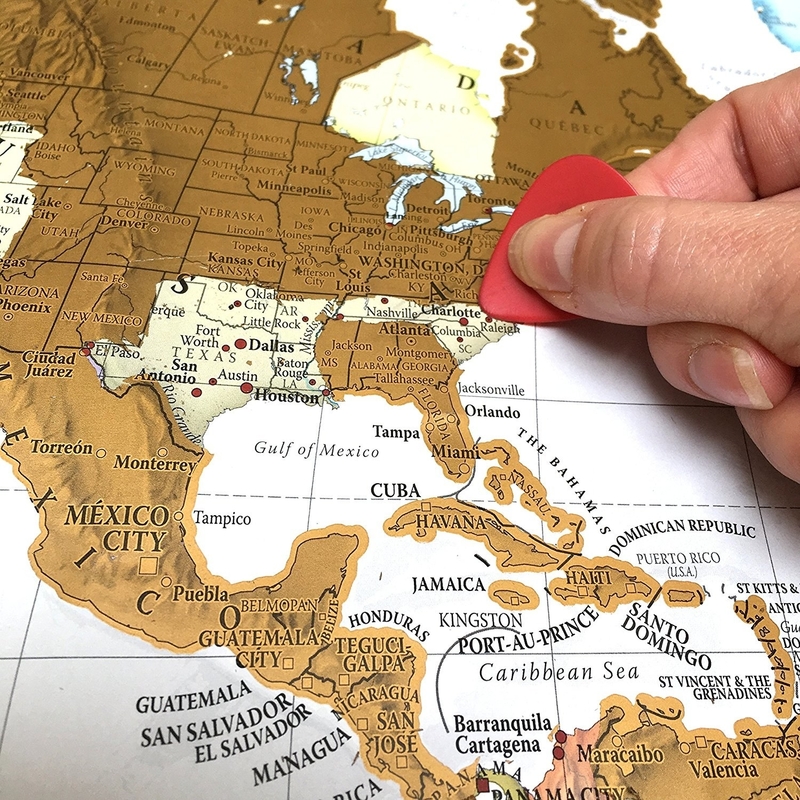 I know it looks fancy, but don't worry, it won't make a big dent in your travel budget. 10. A funky-printed collapsible storage ottoman so you can make your clutter do a Houdini-level disappearing act seconds before your guests ring the doorbell. And they'll never know the adorable stool they're sitting on is housing all your crap. Mwahahaha! Get it from Walmart for $16.84 (available in six colors and prints). 11. 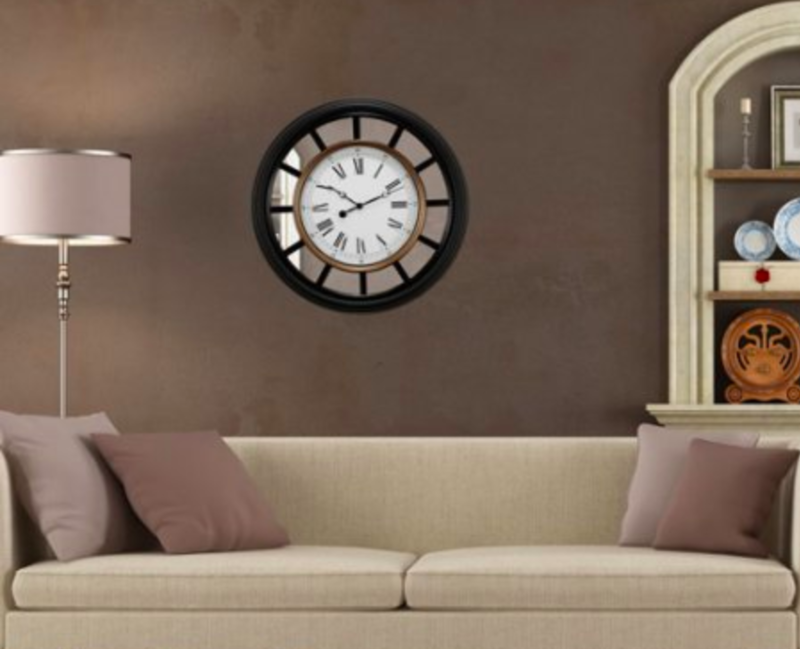 A wall-mounted round frame for displaying your fave photos with pride and pizzazz. It holds nine 4"x6" photos and reviewers say it's light and easy to hang 🙌. 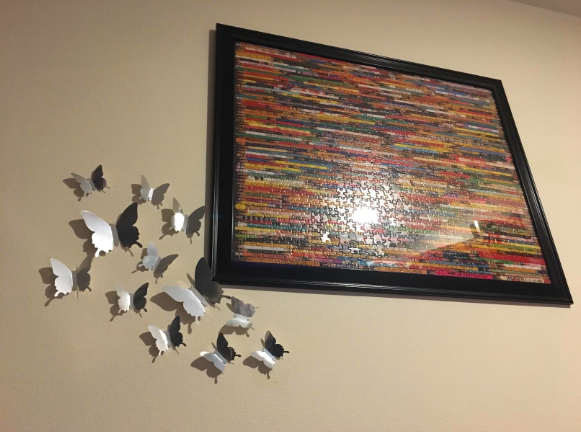 Plus, the art above comes in it, so it's cute even if you don't fill it with your own pics! 12. 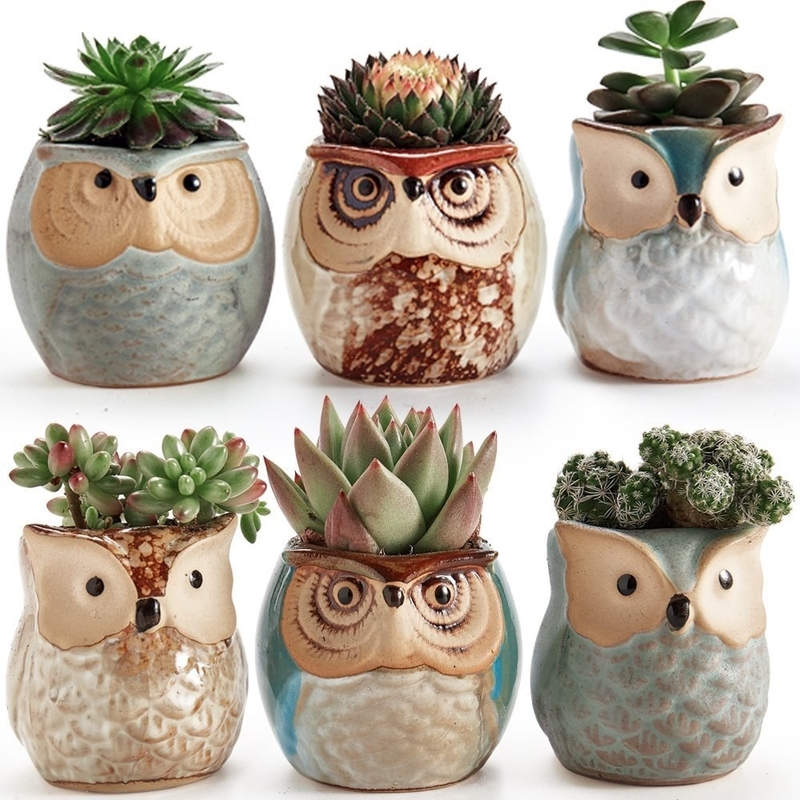 A sweet set of ceramic owl planters, which are a wise and whimsical choice for any plant parent. Get a set of six from Amazon for $15.99. 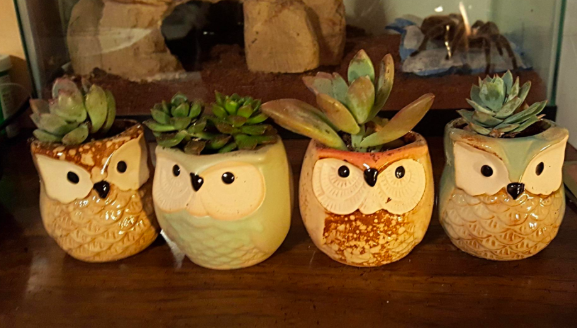 Get a set of mini succulents to put in them from Amazon for $15.99. 13. A velvet unicorn throw pillow. Yes, I repeat, a velvet unicorn. It's peak trendy millennial and you know what? #Sorrynotsorry. 14. 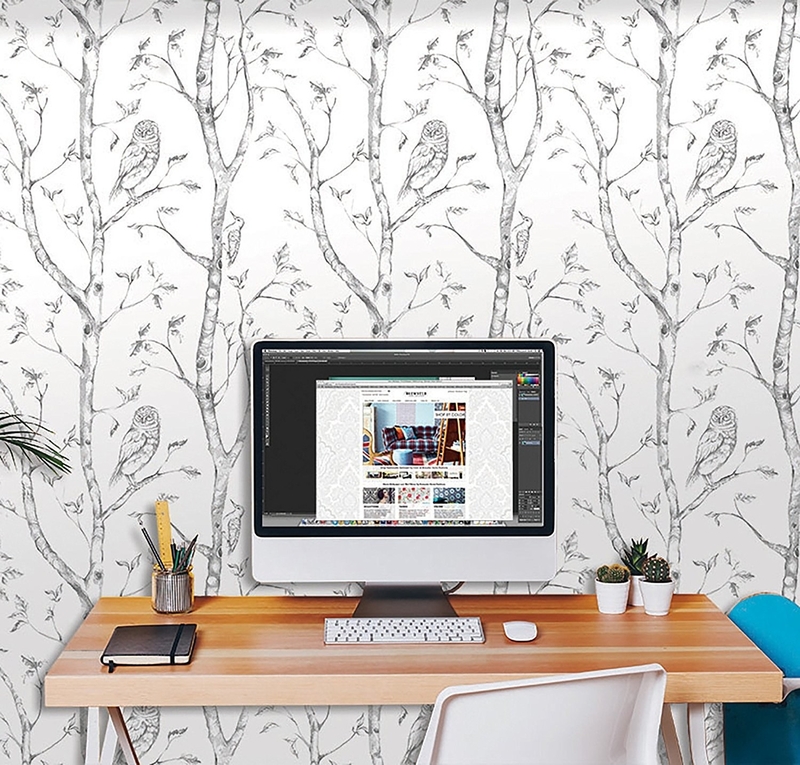 Pretty bird-printed peel-and-stick wallpaper you can use basically anywhere, so there will never be another dull space in your home ever again. It's easy to apply and remove and won't leave any residue on your walls. 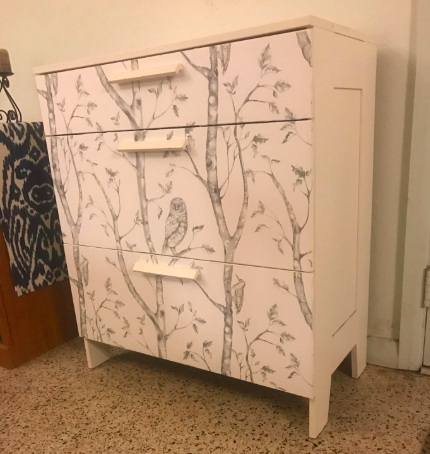 Get creative with it and use it on more than just walls — decorate a plain piece of furniture, your staircase, or the back of a shelving unit. Get a 20.5" x 18' roll from Amazon for $32.07+ (available in two colors). 15. A sleek painted wood wall mirror to help you have the coolest house on the (color)block. 16. 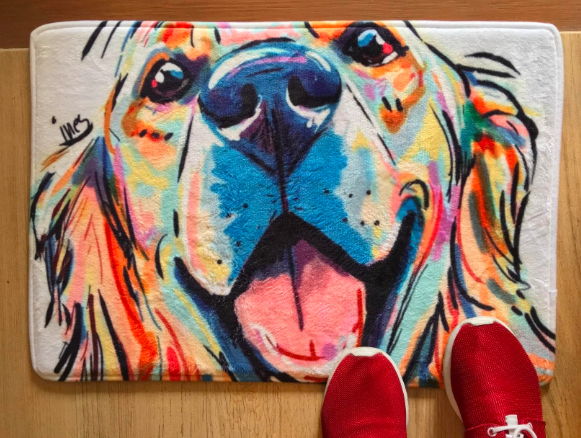 An a-door-able fleece mat featuring the smiling face of your favorite dog breed. 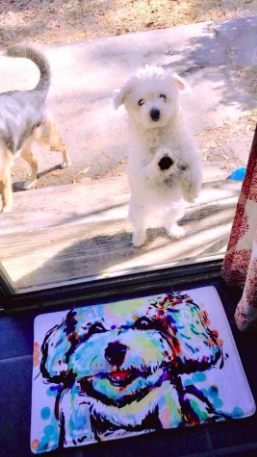 It's so cute, your actual doggo might get jealous. Get it from Amazon for $9.99+ (available in two sizes and 16 breeds). 17. A gorgeous piece of agate-inspired wall art sure to rock your world. Get it from Francesca's for $29. 18. A regal peacock figurine to make your humble abode feel like Malfoy Manor — minus all the evil stuff going on, obvs. 19. A Polaroid-inspired combination cork and magnetic dry erase board that's the picture-perfect way to freshen up your walls and keep all your memos organized. It also comes with eight magnets, eight pushpins, and a dry-erase marker. I'm amazed that you can get all of this for just $10! It's such a steal it should almost be illegal, but you can just say, "I was framed!" Get it from Dormify for $10. 20. A color-changing, light-up planter for raising plants that are true all stars — after all, you'll never shine if you don't glow. It switches between seven colors so it'll match any room, at least momentarily. Because that's the way you like it and you'll never get bored. Get it from Firebox for $20.29. Get the required AAA batteries from Amazon for $4.99+. 21. 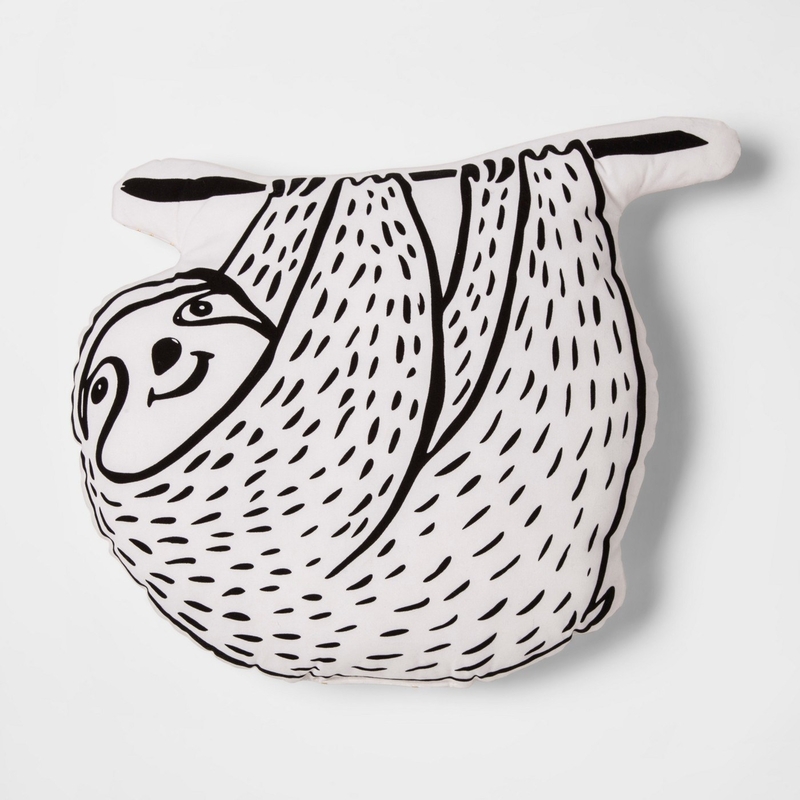 A sloth-shaped throw pillow you shouldn't be slow to add to your cart. Get it from Target for $16.99. 22. Glam sequined "love" letters that are probably even better than the love letters Noah wrote Allie every day for a year, but I guess we'll never know. Get a set of four letters and adhesive tape from PBteen for $39.99. 23. A retro end table I think you were mint to have in your apartment. 24. Breezy metallic dot curtains to lend a chic touch to any room. It's a design choice that's sheer genius. Get them from Walmart for $8.40+ (available in three sizes) or the 50" x 84" size from Jet for $9.94. 25. A set of geometric shelves that prove it's hip to be square. All your knickknacks will actually look chic and ~artsy~ when placed on these babies. Get a set of two from Wayfair for $27.99. 26. An adjustable wood-and-metal lamp to add a polished, modern touch to your desk or bedside table. Check out more of the best lamps on Amazon. Get it from Amazon for $32.99 (available in five colors). 27. A cheery elephant sign featuring advice you should never forget. Get it from Francesca's for $20. 28. A tropical curtain that'll make you never want to leaf your shower. 29. 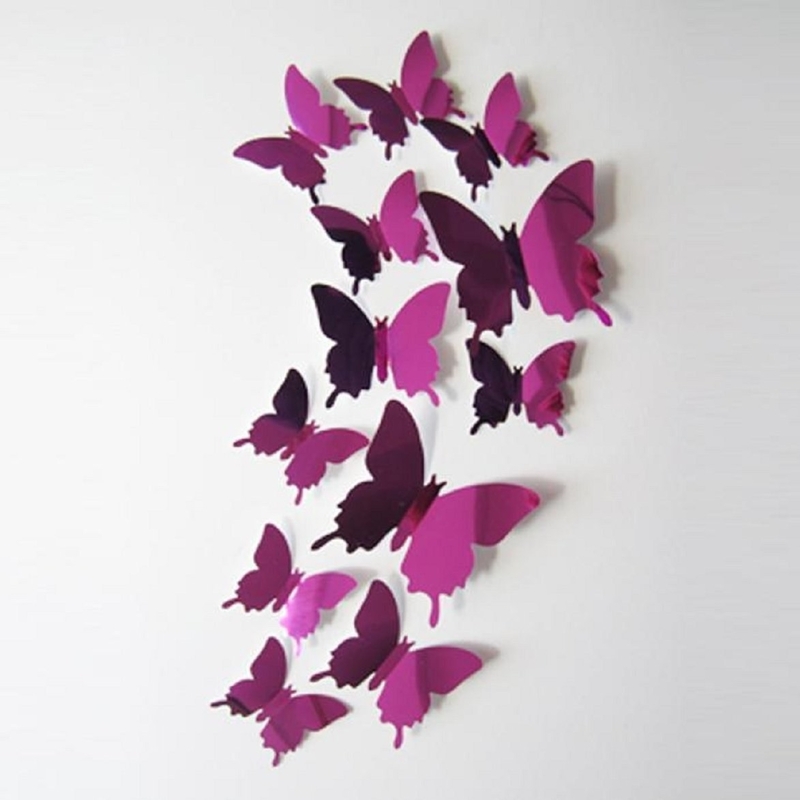 Mirrored butterfly decals to get your walls looking fly for under $2 (seriously). They've got a double-stick adhesive built in, so installing them (and moving them around) is a total breeze. Get a set of 12 from Amazon for $1.35 (available in five colors). 30. A candelabra so regal, I honestly wouldn't be surprised if it started singing and dancing like something out of the Beast's castle. Get it from Wayfair for $32.99. 31. 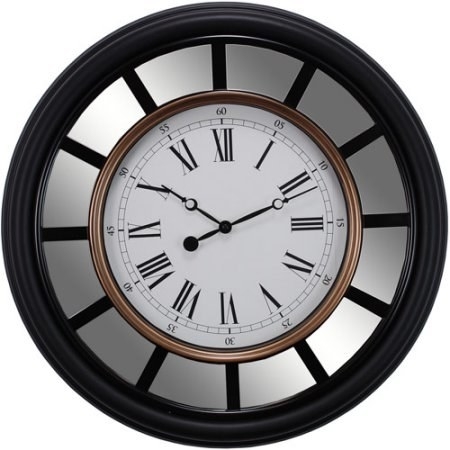 A mirrored wall clock that'll greet every houseguest with its beautiful face and say, "Welcome to hour home." Get it from Jet or Walmart for $23.80. 32. A crown-shaped tray to elegantly accent your royal chambers. 33. 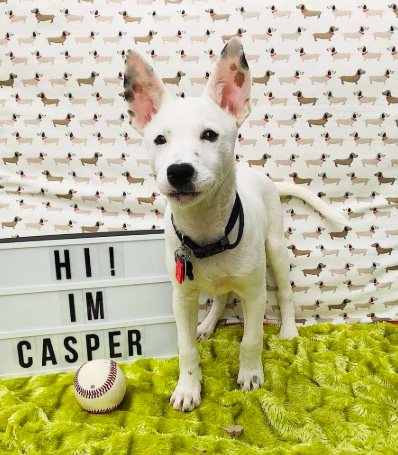 And a set of doggo-shaped wall decals so you can live your dream of filling your home with pups, even if you have allergies. They come in an assortment of breeds, won't leave residue on walls, and can be arranged any way you want! Get a pack of 36 from OhongsDesignStudio on Etsy for $17.50 (available in 32 colors). 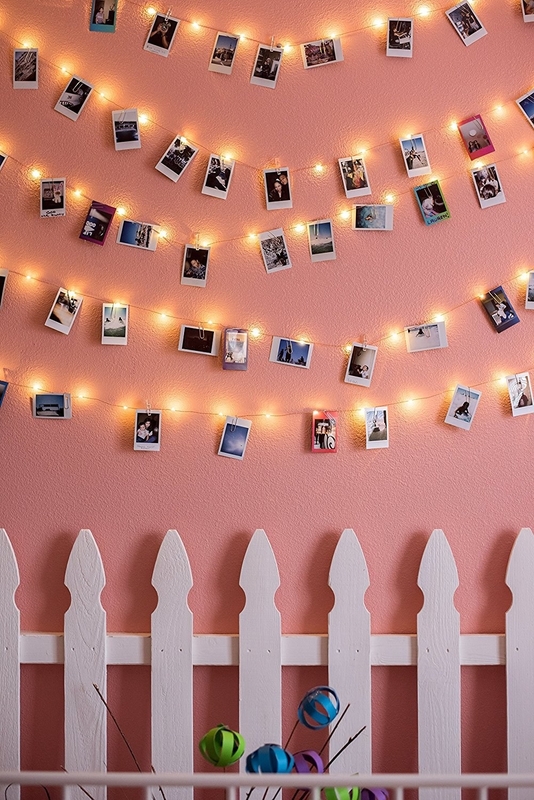 Also check out awesome decor under $10 and the best places to shop for inexpensive decor.